George Fotiades is the President and Chief Executive Officer (CEO) and a member of the Board of Directors for Cantel. He most recently served as an Operating Partner at Five Arrows Capital Partners (FACP), the private equity arm of Rothschild Merchant Banking, and previously was a Partner at Diamond Castle Holdings, focusing on healthcare investments. Mr. Fotiades was Chairman of Catalent Pharma Solutions from 2007 to 2010, after the company was purchased by The Blackstone Group from Cardinal Health, and served as interim CEO. Prior to that, Mr. Fotiades served as President and Chief Operating Officer of Cardinal Health, Inc., and before that he created and led Cardinal Health’s Pharmaceutical Technologies & Services segment. Earlier in his career, he served in a number of executive roles, including president of Warner-Lambert's consumer healthcare business and senior positions at Bristol-Myers Squibb, Wyeth and Procter & Gamble. Mr. Fotiades is a director of Prologis, Inc., a leading owner, operator and developer of industrial real estate, and non-executive Chairman of the Board of AptarGroup Inc., a leader in the global dispensing systems industry. Mr. Fotiades received a Bachelor of Arts from Amherst College and a Master of Management from The Kellogg School of Management at Northwestern University. Prior to joining Cantel, Mr. Clifford had more than twenty years’ experience in the manufacturing and industrial industry. He served as Vice President of Operations, Finance and Information Technology of IDEX Corporation for six years. For more than half a decade prior to joining IDEX, Mr. Clifford held various senior financial positions for General Electric, ranging from Finance Manager – Appliance Controls/Motion Systems to Financial Planning & Analysis Manager – America’s Consumer & Industrial. Mike Spicer is the President of the Medical Business Unit for Cantel. In this role, he is responsible for day-to-day operations of the Medical Business Unit including the long-term strategic direction, product development, market assessment, acquisition identification and execution, and overall P&L management. Mr. Spicer joined Cantel in 2013 as Senior Vice President, Sales and Service, Medical Business Unit, and was appointed to President, Americas Sales and Global Service in 2015. Prior to joining Cantel, Mr. Spicer held various positions with increasing responsibility for more than 24 years, including Vice President of Sales at Smith & Nephew within the Advanced Surgical Devices Division. He also was Regional Manager within Boston Scientific and District Sales Manager within Frito-Lay. Mr. Spicer earned a Bachelor in Business Administration and Business Management from Middle Tennessee State University. He also completed Harvard Business School’s Executive Leadership Program. Curt Weitnauer is the President of the Life Sciences Business Unit for Cantel. In this role, he is responsible for day-to-day operations of the Life Sciences Business as well as the Renal Business Unit. Mr. Weitnauer is responsible for long-term strategic direction, product development, market assessment, acquisition identification and execution, and overall P&L management. Mr. Weitnauer earned a Bachelor of Science degree in Chemical Engineering from the University of Minnesota, Institute of Technology. He currently serves on the Board of Directors of Fluid Equipment Development Company, (FEDCO), Salud Spirits and the Minnesota National Kidney Foundation. Gary Steinberg is the President of the Dental Business Unit for Cantel. He is responsible for all facets of the business including strategic planning, mergers and acquisitions (M&A), organizational structure, succession planning and the overall financial performance of the business unit. Mr. Steinberg began his 30 year dental career in 1984 as General Manager of the Frank Allen Dental Lab. In 1990, he joined Crosstex as Vice President of Finance and Operations. Since that time, Mr. Steinberg held numerous leadership positions within the company, each with increasing levels of responsibilities. In 2011, he became the President and CEO. Neil Blewitt is the President of Europe for Cantel. In this role, he is responsible for the day-to-day operations for the European entities of Cantel. Prior to joining Cantel, Mr. Blewitt held various General Manager and Managing Director positions for over 25 years, including Managing Director of Puricore International in the UK, which was acquired by Cantel in 2014, and General Manager at CSM Industries (acquired by Bayer Group). 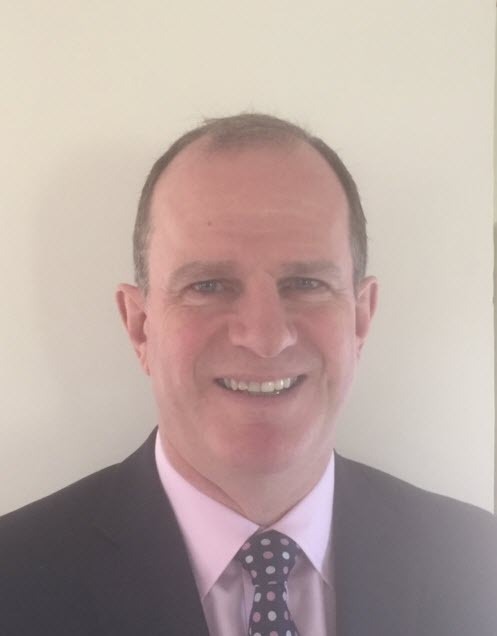 Mr. Blewitt earned a Bachelor of Science (Honours) in Engineering from the University of Birmingham in England and is a Fellow of the Institute of Directors. Michael McGrath is the President of Canada and Asia Pacific for Cantel. In this role, he is responsible for the day-to-day operations for the Canadian and Asia Pacific entities of Cantel. 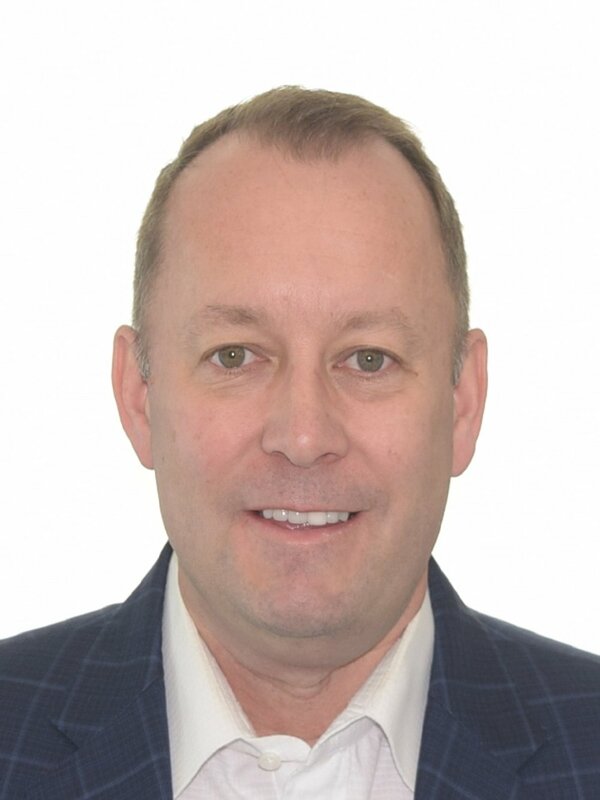 Prior to joining Cantel, Mr. McGrath was the President of Vantage Endoscopy where he guided the development of a world-class Canadian-based distribution business providing complete solutions to hospital-based endoscopy suites. With over 20 years of experience, Mr. McGrath has a successful track record in implementing M&A strategies, product development and commercial excellence programs. Mr. McGrath earned a Bachelor of Technology degree in Biomedical Engineering from Memorial University of Newfoundland (College of the North Atlantic). Jean Casner is the Senior Vice President and Chief Human Resources Officer for Cantel. In this role, she is responsible for the global HR function, including its people strategy, policies, systems and processes such as talent management, succession planning, learning and development, compensation and benefits, performance and recruiting. Ms. Casner joined Cantel in 2017 as Vice President, Benefits, Compensation and HR Operations. Prior to Cantel, Ms. Casner held HR leadership positions at the National Basketball Association (NBA), Merck, The Dial Corporation (now owned by Henkel), Johnson and Johnson, and ORC (now owned by Mercer). Ms. Casner received her Bachelor of Arts degree in English from the University of Virginia. Daniel Khalili is the Chief Technology Officer for Cantel. In this role, Mr. Khalili is responsible for new product development, regulatory affairs and quality assurance, along with developing a strategic roadmap for the Company’s investment in new technology that will further position Cantel as a global leader in infection prevention. Prior to joining Cantel, Mr. Khalili worked at KaVo Kerr Group where he served in leadership roles with increasing responsibility for the past seven years, including most recently as CTO, Innovation and RA/QA. Prior to that, Mr. Khalili served as Vice President R&D for the Medical Products Division at Baxter Healthcare Corp.
Mr. Khalili received his Doctoral (D.E.A) degree in Chemical-Physics from P&M University/ École Centrale de Paris in France. He also earned a Bachelor of Science in Chemical-Physics from Jussieu University in France and a Bachelor of Science in Electrical Engineering from the University of Florida. Lawrence Conway is the Senior Vice President of Business Systems and Integration for Cantel. In this role, he is responsible for the global IT function and post-acquisition integration. Prior to joining Cantel, Mr. Conway worked at ConvaTec, where he was Vice President and General Manager Ostomy Care. He also played an instrumental role in the divestiture of the company from Bristol-Myers Squibb. Prior to that, Mr. Conway worked as a Management Consultant at several firms including McKinsey & Company and Andersen Consulting. Seth Yellin is the Executive Vice President of Strategy and Corporate Development for Cantel. In his role, he oversees Cantel’s corporate strategy and acquisitions. In collaboration with divisional and executive leadership, Mr. Yellin develops overall corporate strategy, identifies potential acquisitions, negotiates and executes transactions, and plans for the integration of these new businesses into the existing Cantel operations. Prior to joining Cantel, Mr. Yellin spent 10 years working on Wall Street as both an investor and advisor. Most recently, he was an analyst at Citadel Asset Management, focusing on the medical device and life science tools industries. Mr. Yellin began his career at UBS as a M&A investment banker, executing transactions in the medical device, healthcare services, and biotechnology sectors. Scott Thome is the Senior Vice President of Operations for Cantel. In this role, he is responsible for global operations across the Company including all manufacturing and supply chain activities, facilities engineering, manufacturing engineering, and process development engineering. Mr. Thome has over 30 years experience in manufacturing, supply chain, manufacturing engineering, process development engineering, facilities, and customer service. Prior to joining Cantel, he worked at Abbott Laboratories (formerly St. Jude Medical) where he spent the bulk of his career in leadership roles for almost 20 years, most recently as Global Vice President Operations and Supply Chain. Prior to that, Mr. Thome held R&D and operations roles at Vascular Science, Inc., Urologix, Inc., SCIMED Life Systems and Hutchinson Technology. Mr. Thome received a Master of Business Administration degree from St. Cloud State University and a Bachelor of Science degree in Mechanical Engineering from North Dakota State University. He also completed Harvard Business School’s Advanced Management Program. Eric Nodiff is Executive Vice President, General Counsel and Secretary for Cantel. In this role, Mr. Nodiff leads the legal function for general corporate matters, M&A, corporate governance and Securities and Exchange Commission (SEC) compliance and is responsible for oversight and supervision of all other legal matters impacting the Company. In addition, Mr. Nodiff serves as a member of the Office of the Chairman. Prior to his current role, he served as Senior Vice President and General Counsel from 2005 – 2014 and also served as Secretary since January 2009. Mr. Nodiff earned a Juris Doctor degree from Hofstra Law School. He is the Founder and President of The Giving Circle of Lower Westchester, NY, a not-for-profit company assisting front-line hunger relief organizations such as food pantries and soup kitchens. Cantel Medical is fortunate to have assembled a Board of Directors that is deep and diversified in its business experience, including specialization in the critical areas of healthcare, finance and business growth strategy. Mr. Diker has served as Chairman of the Board since 1986 and has been a member of the Office of the Chairman since April 2008. Mr. Diker was responsible for the Company’s transition into infection prevention. He has also served as Chairman and cofounder of Diker Management LLC, a registered investment advisor, for over ten years. He is also a director of Loews Corporation (NYSE), a holding company whose subsidiaries include a commercial property-casualty insurer; an offshore drilling company; a natural gas transportation and storage company; and a luxury lodging company. Mr. Diker brings thirty-two years of service as Chairman and a director of Cantel, knowledge of the Company’s business and strong strategic vision for the Company to his service on the Board. Mr. Fotiades has been Operating Partner at Five Arrows Capital Partners (Rothschild Merchant Banking) since April 2017. From April 2007 through April 2017, Mr. Fotiades was a Partner, Healthcare investments at Diamond Castle Holdings, LLC, a private equity firm. For more than five years prior thereto, he served as President and COO of Cardinal Health, Inc., a leading provider of healthcare products and services. Mr. Fotiades is also a director of Prologis, Inc. (NYSE), a leading owner, operator and developer of industrial real estate, and AptarGroup Inc. (NYSE), a leader in the global dispensing systems industry. He has served as Vice Chairman of the Board of Cantel and a non-executive member of the Office of the Chairman since April 2008. Mr. Fotiades brings extensive experience in executive management of global operations, strategic planning, and sales and marketing, particularly in the healthcare industry, to his service on the Board. Mr. Batkin has been Chairman and Chief Executive Officer (CEO) of Converse Associates, Inc., a strategic advisory firm, since January 2013. From February 2007 until December 2012, Mr. Batkin served as Vice Chairman of Eton Park Capital Management, L.P., an investment firm. For more than five years previously, Mr. Batkin served as Vice Chairman of Kissinger Associates, Inc., a geopolitical consulting firm that advises multi-national companies. He is also a director of Omnicom Group, Inc. (NYSE), a global marketing and corporate communications company, and Pattern Energy Group, Inc. (NASDAQ), an independent power company. Mr. Batkin brings specific banking, consulting and directorial experience to his service on the Board. From October 1994 through June 2009, Ms. Berman served in various financial capacities at Harvard University, most recently (commencing April 2006) as senior advisor to the president of Harvard University and previously as Vice President of Finance and Chief Financial Officer (CFO). Ms. Berman is a certified public accountant (CPA), and is also a director of Loews Corporation (NYSE), a holding company whose subsidiaries include a commercial property-casualty insurer; an offshore drilling company; a natural gas transportation and storage company; and a luxury lodging company; and Eaton Vance Corporation, an investment manager. Ms. Berman brings accounting and financial management expertise and service as an audit committee member and chair of other public companies to her service on the Board. Mr. Diker has been CEO and co-founder of Diker Management LLC, a registered investment adviser, for more than five years. Mr. Diker brings experience in investment-related matters and ability to assist in the analysis of acquisition targets to his service on the Board. Mr. Envin has served as Partner, Venrock, a venture capital firm, since 1975. Mr. Evnin currently serves on the Board of Directors of Juno Therapeutics, Inc. (NASDAQ), AVEO Pharmaceuticals, Inc. (NASDAQ), and Infinity Pharmaceuticals, Inc. (NASDAQ) as well as on the Board of two private companies. He was formerly a Director of over 35 companies, both public and private, in the life sciences area. He is a Member of the Boards of Overseers and Managers of Memorial Sloan-Kettering Cancer Center, a Trustee of The Jackson Laboratory, a Director of the New York Genome Center, a Member of the Board of Directors of the Albert and Mary Lasker Foundation, a Trustee Emeritus of Princeton University, and a Trustee Emeritus of The Rockefeller University. Mr. Evnin brings extensive experience in the healthcare and life sciences area to his service on the Board. Dr. Forese is Executive Vice President and Chief Operating Officer (COO) of New York-Presbyterian, a comprehensive academic health care delivery system in collaboration with two renowned medical schools, Weill Cornell Medicine and Columbia University College of Physicians & Surgeons. New York-Presbyterian includes academic medical centers, regional hospitals, employed and affiliated physician practices and ambulatory and post-acute facilities. Dr. Forese is responsible for all enterprise operations as well as strategy and execution of acquisitions and partnerships. She is also chairwoman of the board of directors of NIH Clinical Center, the nation’s premier hospital devoted to clinical research. Dr. Forese was President of NYP Healthcare System (now subsumed into New York-Presbyterian) from 2013 to 2015 and Group SVP and COO New York-Presbyterian/Weill Cornell from 2011 to 2015. Dr. Forese brings experience as a hospital executive, faculty member and practicing physician in one of the largest health care enterprises in the United States to her service on the Board. Dr. Myers has been Dean of the Touro College of Dental Medicine at New York Medical College since July 2017, previously serving as Senior Associate Dean for Academic and Administrative Affairs since June 2016. From January 2011 to June 2012 and then again from August 2013 to May 2016, Dr. Myers served as Vice Dean for Administration of Columbia University College of Dental Medicine. He served as Interim Dean of Columbia University College of Dental Medicine from July 2012 to July 2013. Dr. Myers maintained a private practice in general dentistry for 36 years and currently delivers lectures on the topic of infection prevention in the field of dentistry. Dr. Myers brings experience in dentistry and infection prevention, coupled with practical experience, to his service on the Board. Dr. Pronovost is professor of anesthesiology and critical care medicine, surgery, nursing, health policy and management, engineering, and business at the Johns Hopkins University School of Medicine. He is a practicing critical care physician who is dedicated to finding ways to make hospitals and healthcare safer for patients. In June 2011, he was named director of the new Armstrong Institute for Patient Safety and Quality at Johns Hopkins, as well as Johns Hopkins Medicine’s senior vice president for patient safety and quality. Dr. Pronovost is also a member of the Institute of Medicine-National Academy of Science. In 2008, he was named one of Time magazine’s 100 most influential people in the world for his work in improving healthcare safety. He is a lecturer and author in the fields of patient safety and healthcare management. Additionally, Dr. Pronovost is a researcher centered on improving the quality of care. Previously, from January 2010 to June 2015, Dr. Pronovost served as a director of the Company. Dr. Pronovost brings a position as a world-renowned leader of patient safety and quality to his service on the Board.